When we look back on our past year of travel, Vedge stands out as one of the most interesting dining experiences we had. We knew going into it that the restaurant was vegetarian, but it wasn’t until we got there that we learned that the menu was 100% vegan. 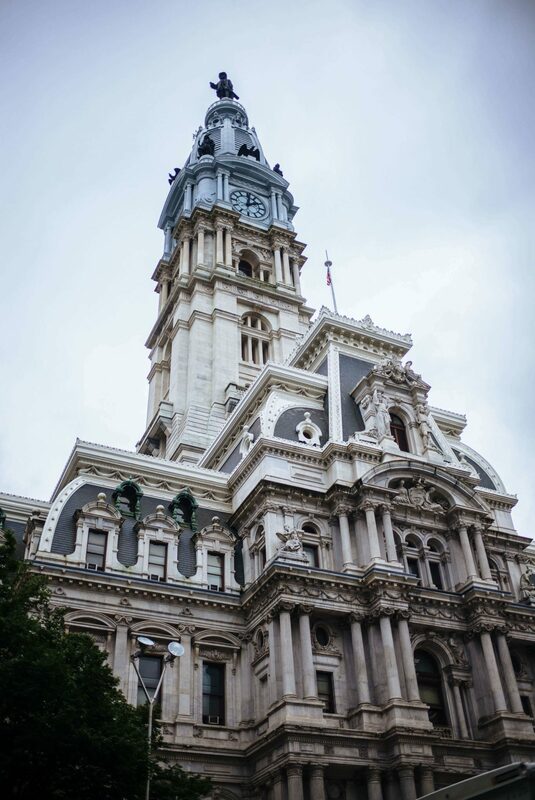 Vedge is located in a restored historic ninteeth-century townhouse on Locust Street in downtown Philadelphia. The relaxed, casual vibe makes it the perfect place to unwind with a glass of wine after a long day. We were blown away by the food we tasted. As we mentioned, we expected vegetarian, but we couldn’t believe how good the vegan dishes were. The fancy radishes were so beautiful and meticulously prepared, they reminded us of a stunning platter of sushi. 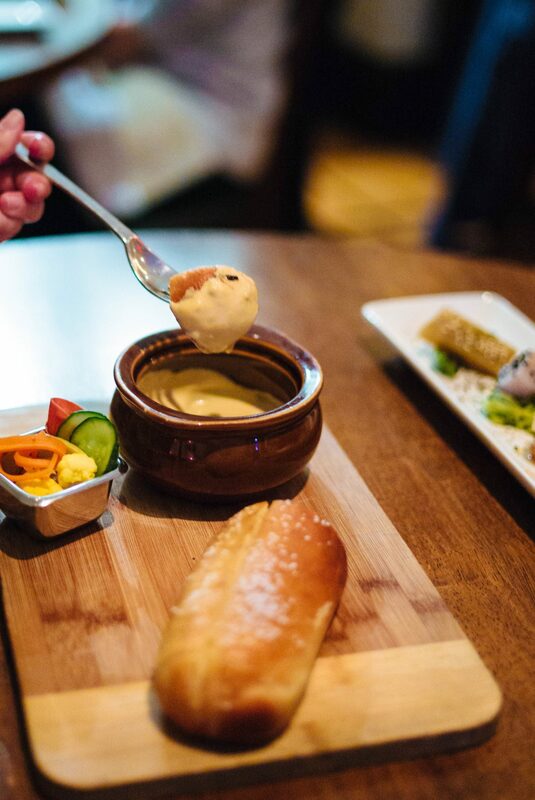 The rutabaga fondue was so hearty and creamy, we couldn’t believe there was not cheese in it. The broth in the pea leaves dish was as rich as the richest beef broth you could imagine. Eggplant brasciole and seared maitake mushroom were as satisfying as any main course at a steakhouse. All of that being said, what we liked the most about Vedge was that nothing seemed like it was trying to be a vegan substitute for a non-vegan dish (other than the figgy cheesecake, which was better than most non-vegan cheesecakes we’ve tried). 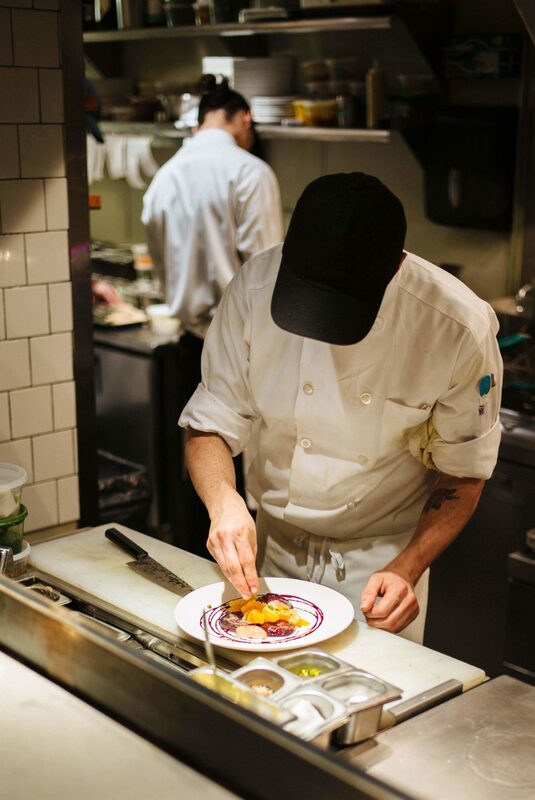 The plant-based menu is a celebration of ingredients from the ground and all the incredible flavor combinations talented chefs Richard Landau and Kate Jacoby can make from them. Finally, the wine list deserves a special mention. In addition to an incredible menu of vegan delights, the restaurant has curated a wine list that is actually interesting and includes some of our favorite producers, like Prosecco Alice. We’re always thrilled to see Cinzia’s gorgeous wines on American wine lists. 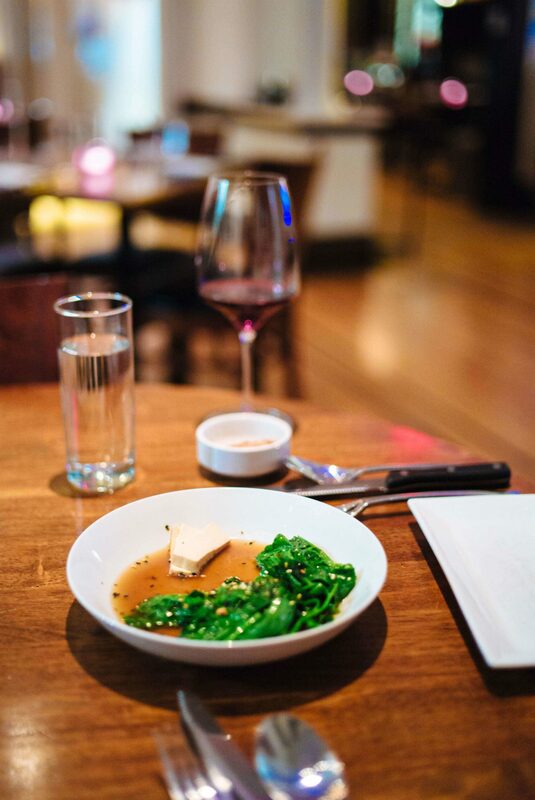 If you’ll be in Philadelphia, you must visit Vedge. It’s a great way to feel better about what you’re eating in between your Philly cheesesteaks. 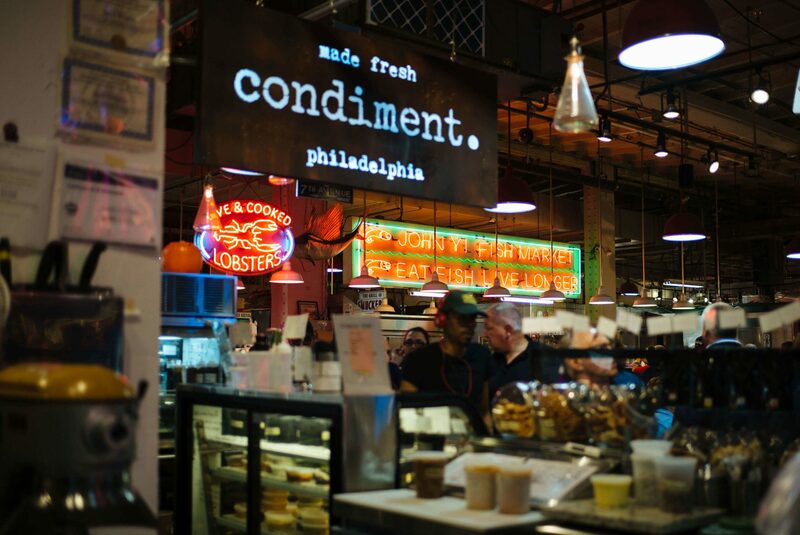 If a trip to Philadelphia isn’t in your immediate plans, Vedge has two vegan cookbooks, which you can check out here and here.